Login to your account dashboard and select the website you would like to add a page to. Click the edit site button below the website thumbnail to edit that site. 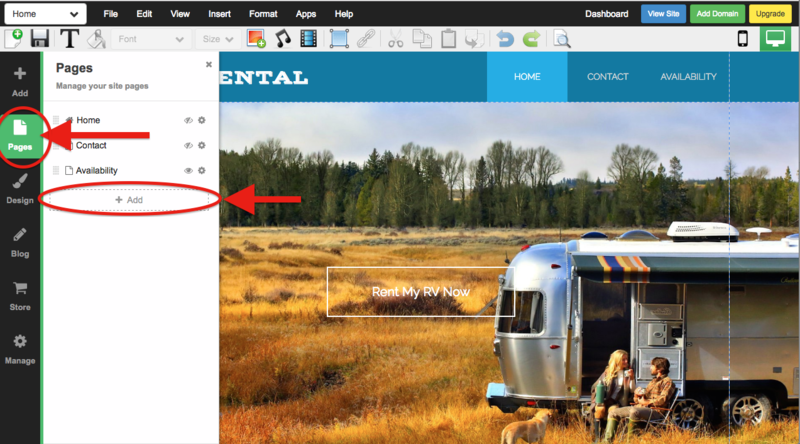 Once you're inside the site editor, in the left toolbar click on Pages and then on +Add. 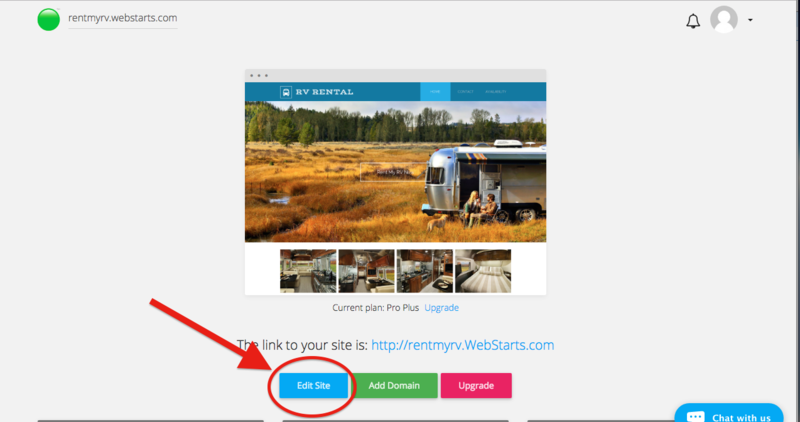 Here, you can either choose to add a new page to your website, or you can add a link to your menu. Be sure to click to Add a New Page to your site. Choose whether you’d like to create a blank page or make a copy of an existing page. Making a copy of an existing page is a great way to get a jump start when designing your new page. Give your page a name and when you’re ready click the button labeled Create Page.